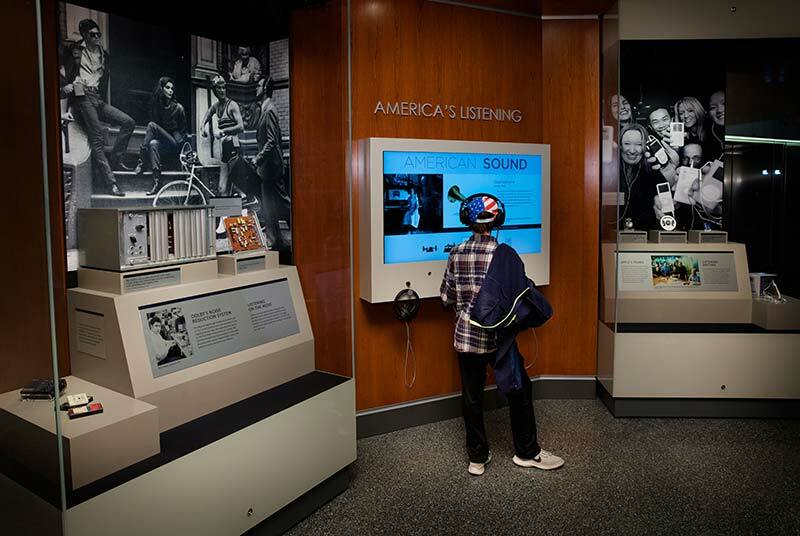 The museum’s new wing themed on American Culture begins in the gateway with America’s Listening, which tells the story of recorded sound and five of the innovations that contributed to how we consume music and movies today. Artifacts on view include Thomas Edison’s phonograph, Alexander Graham Bell’s graphophone, Emile Berliner’s gramophone, Ray Dolby’s noise reduction system, and Apple’s iPod. An interactive station allows visitors to hear examples of recorded sound from each of the featured technologies.